Two of the matches I have coming up have rules that allow you to reconfigure your guns if you carry the different optics or accessories with you for the duration of the match. I have been primarily using a Trijicon TA11J the past several months, but sometimes a stage might be a lot easier to shoot with an Aimpoint due to the unlimited eye relief. Having to shoot with a gas mask or paintball mask on, or from very awkward positions is something I’ve done in the past where using an Aimpoint would be an advantage. Conversely, I much prefer the ACOG for 150-400 yard shooting. 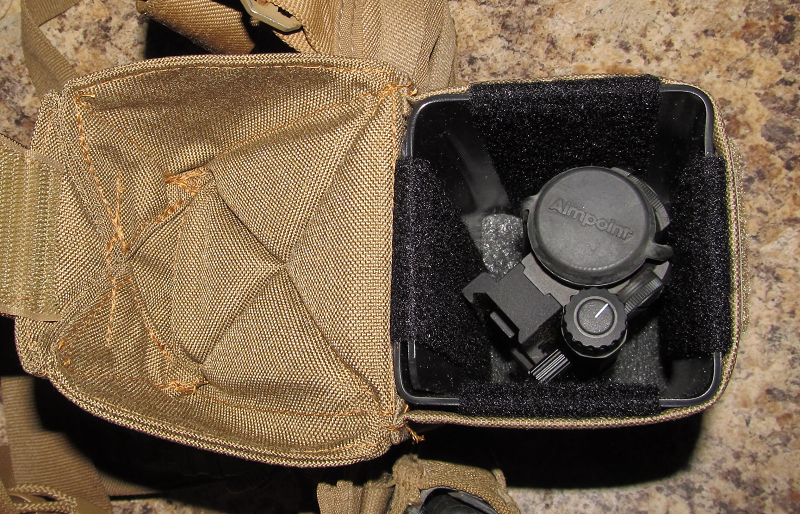 The LaRue mounts I have on both optics return to zero reliably so I am not worried about swapping them back and forth as needed. 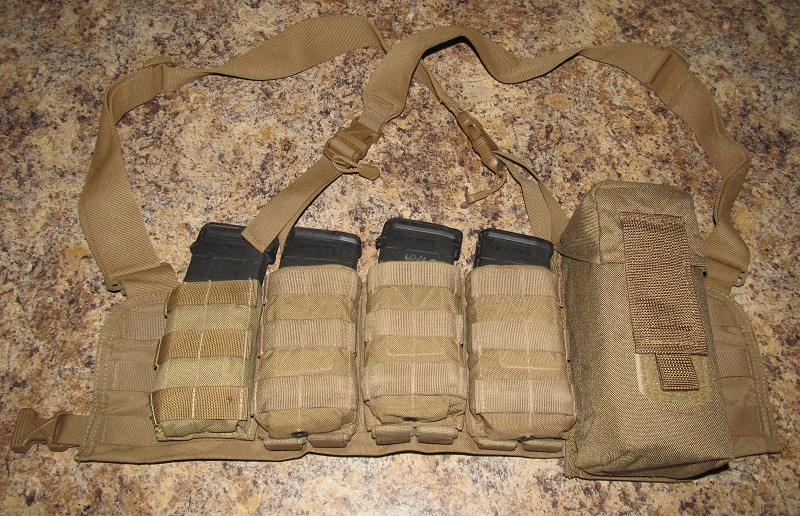 The pouch is MOLLE compatible. 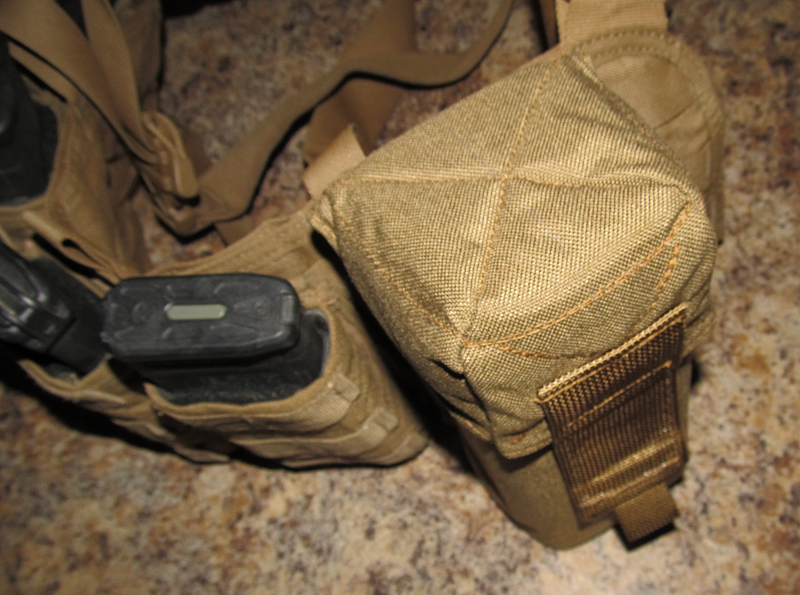 The body of pouch is supported by kydex and the kydex covered in soft material to support the optic.